Infusion Bissap-mint, rich in antioxidant and iron, it effectively prevents iron deficiency anemia and gives you energy daily. It can be used in the treatment of high blood pressure while providing pleasure to your senses. 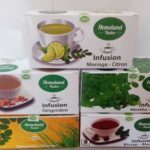 Lemongrass-Moringa Infusion, enjoy a special taste of Lemongrass-Moringa and let you heal your gastrointestinal ailments, fatigue, stress and insomnia. It is also an antioxidant-rich diuretic and tonic infusion to help prevent malaria. Infusion Ginger flavored, powerful aphrodisiac, ginger is a root that does not lack virtues or health benefits. Very rich in anti-inflammatory, anti-oxidants, facilitates digestion, cough fight and is a therapeutic agent in the treatment of prostate cancer. 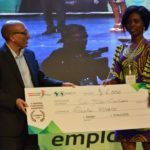 Homeland Tastes is an agribusiness start-up which produces herbal infusions with nutritional and medicinal herbs. 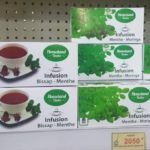 Four of his infusions are already available on the Beninese, Senegalese and Gabonese market at very affordable prices. These are combinations of: Lemongrass-Moringa, Mint-Moringa, Mint Bissap and Flavored Ginger. 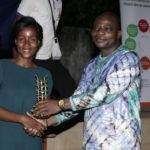 Winner of the innovation awards organized by SenS Benin in 2018 and the best business idea organized by the African Development Bank in 2018, the quality of Homeland Tastes infusions has been proven by the “Laboratoire Central de Sécurité Sanitaire des Aliments” (LCSSA). They are rich in antioxidant iron, vitamin C, essential amino acids and many others. Free of any toxicity and without side effects, they are intended for all social classes and highly recommended for people suffering from diabetes, cancer, malaria, general fatigue and iron deficiency anemia. 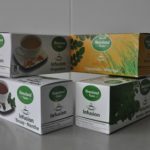 Homeland Tastes infusions are nutritional, therapeutic, 100% natural and the basic materials (medicinal plants) are based on the eating habits of the target market. Through this product, medicinal plants especially those neglected for years are reconsidered and valued. The selling price of each product is fixed and the packaging of the products has been realized by an expert and validated on the appreciation of the users. It is therefore very attractive and reflects the quality of its content. Our products are intended for all social classes (child, young, pregnant, old man …) and are particularly addressed to Africans, about 1 billion people. This market is flexible and can therefore include other continents such as Europe, Asia and America.